Xbox 360 got a boost following a European price cut last Friday. Sales in the UK from Friday through Saturday were up 35-40 percent, as reported by UK research company Chart-Track. 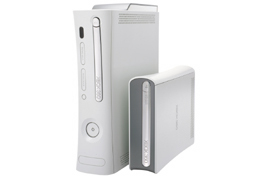 Software sales were not up however, but this can be attributed to no new releases for the Xbox 360 at this time. With the price cuts in Europe, an entry level Xbox 360 is now half the price of Sony’s Playstation 3. But PS3 also got a boost when disc format HD DVD dropped out of the high definition race. One thing the PS3 has that the Xbox 360 does not, is a Blu-ray disc player. Read more from gamesindustry.biz out of the UK.